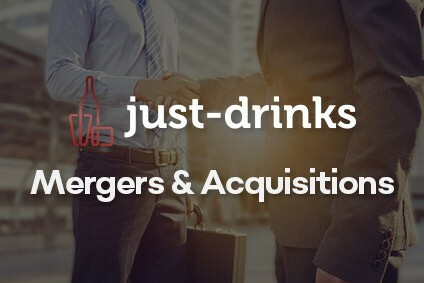 Here, just-drinks consolidates the M&A activity in the global drinks industry during January. Asahi Group Holdings has readied its previously-announced intention to offload two soft drinks joint-ventures in Indonesia. The Japanese multi-category group has executed a share transfer agreement for its stakes in Asahi Indofood Beverage Makmur and Indofood Asahi Sukses Beverage, to Indofood CBP Sukses Makmur. The Coca-Cola Co has teamed up with local bottlers to purchase Chile's Comercializadora Novaverde, the owner of juice brand Guallarauco. Dr Pepper Snapple Group and Keurig Green Mountain have agreed to merge their businesses to create a new beverage company, called Keurig Dr Pepper. The new entity will be 87%-owned by KGM shareholders, while DPSG shareholders will hold 13% of the combined company. 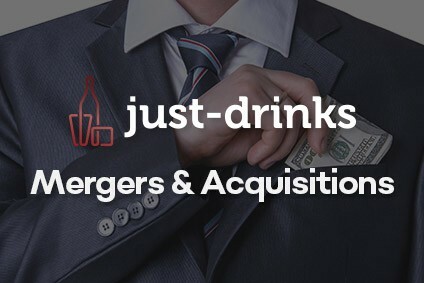 Will Keurig Green Mountain, Dr Pepper Snapple Group merger spark M&A boom? - Analysis What should we make this month's announcement of the merger between Dr Pepper Snapple Group and Keurig Green Mountain? The initlal market response was mixed - an initial share spike for the listed DPSG (KGM was taken private by owners JAB Holding Co in 2016) soon receded as the agreement was digested. Refresco has completed the acquisition of Cott Corp's bottling assets. The US$1.25bn deal, which was announced last July, will almost double the group's production volumes to around 12bn litres. What is Refresco buying from Cott Corp for US$1.25bn? - Focus - just-drinks takes a closer look at the key factors behind the proposed transaction. Danone's venture capital unit has invested in an organic coconut water producer in the US. Danone Manifesto Ventures led a US$30m investment round in Harmless Harvest. Castle Brands has agreed to purchase ageing and new-fill Bourbon stocks as it looks to support the growth of its Jefferson's brand. The company will add US$4.2m of Bourbon to its inventory. Constellation Brands has bought into Kentucky-based craft spirits producer Copper & Kings American Brandy Co. The group also announced a minority stake buy in Caribbean rum The Real McCoy. The US division of Pernod Ricard has sucked up the outstanding 16% of Avion Spirits, completing the buyout of its partner in the Tequila venture. "The US has real brand calls. They are asking for an Avión Margarita" - Interview, Pierre-Aymeric du Cray, VP of Pernod Ricard's House of Tequila just-drinks talks to the VP of Pernod Ricard's House of Tequila unit, Pierre-Aymeric du Cray, about the group's Olmeca and Avión Tequila brands, as well as the effect of agave price fluctuations and the company's recently-acquired Del Maguey Mezcal. Zamora Co has made its second acquisition of 2017, this time buying into the Martin Miller's gin brand. The privately-owned Spanish group confirmed the purchase of a 55% holding in UK-based Martin Miller's, from co-founders David Bromige and Andreas Versteegh. Bacardi has upped its holding in Patrón, acquiring the high-end Tequila business outright. The transaction sees Bacardi take full control of Patrón Spirits International, in a deal that gives the company an enterprise value of US$5.1bn. The remarkable story of Patrón Tequila - Focus -just-drinks looks at the history of Patrón - famed for its namesake ultra-premium Tequila portfolio - and charts Bacardi's journey from stakeholder to outright owner. Bacardi buys Patron - Where does Patron sit in Tequila and what does this mean for Diageo, Pernod Ricard, Gruppo Campari? 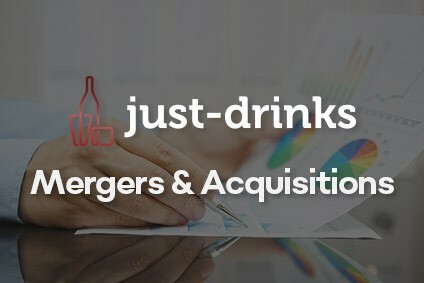 - Analysis - just-drinks looks at the global Tequila category, Patron's position in it, and how the competition should be feeling about Bacardi's purchase. Molson Coors has announced its purchase of UK cider producer Aspall, four months after a transaction between the two was originally mooted. "We've been around for almost 300 years - we never rush things" - Interview, Aspall Cyder's Henry Chevallier Guild and Molson Coors UK MD Phil Whitehead In early-January, Molson Coors announced its purchase of UK cider producer Aspall Cyder. Earlier today, just-drinks spoke to Henry Chevallier Guild, from the family that owned Aspall, and the MD of Molson Coors UK & Ireland, Phil Whitehead. Zamora Co has confirmed its purchase of a "strategic stake" in premium sangría brand Lolea. The brand was created by Colmado Casa Lola - a company owned by four Spaniards - in 2013. Vintage Wine Estates has added a Washington state winery to its stable in the same month as it completes a deal for several wine brands. The company has acquired Tamarack Cellars in Walla Walla. At the start of January, VWE completed the purchase of the Layer Cake, Cherry Pie and If You See Kay brands. Chile's VSPT Wine Group has sold a minority share to a distilled drinks company in China. Yanghe Distillery Co has purchased a 12.5% stake from minority shareholders, in a deal worth US$65m. Spanish winery Compañia Vinicola del Norte de España (CVNE) has made its first purchase outside of Rioja with the acquisition of Cava producer Roger Goulart. Anheuser-Busch InBev has bought an Israeli technology firm that specialises in consumption analytics. The brewer has acquired Tel Aviv-based WeissBeerger, a "leading analytics start-up focused on the beverage industry and brings strong capabilities in big data, algorithms and machine learning".